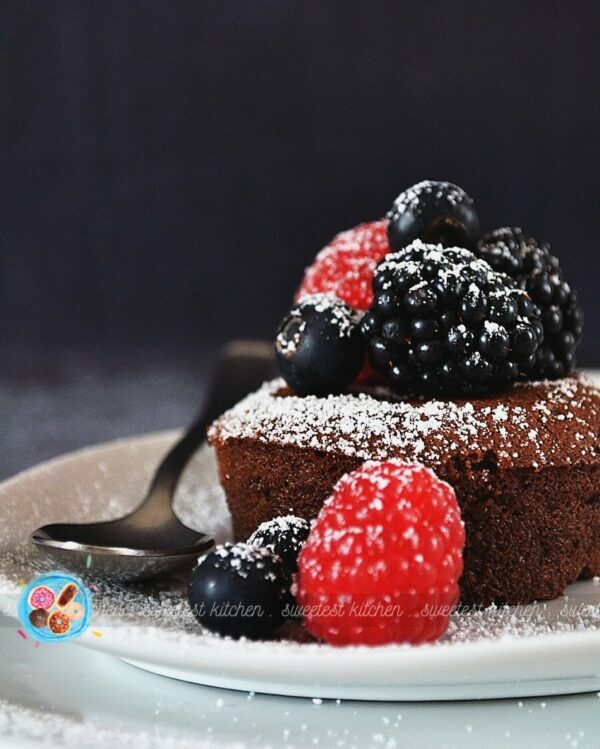 These chocolate lava cakes are really easy to make! Top with ice cream, whipped cream, berries, and/or chocolate syrup for the ultimate indulgence! Today I’m going to talk about chocolate. If you’ve began to read this post, I’m going to presume that you really love chocolate. And not just chocolate, but also gooey chocolate cake. Am I right? 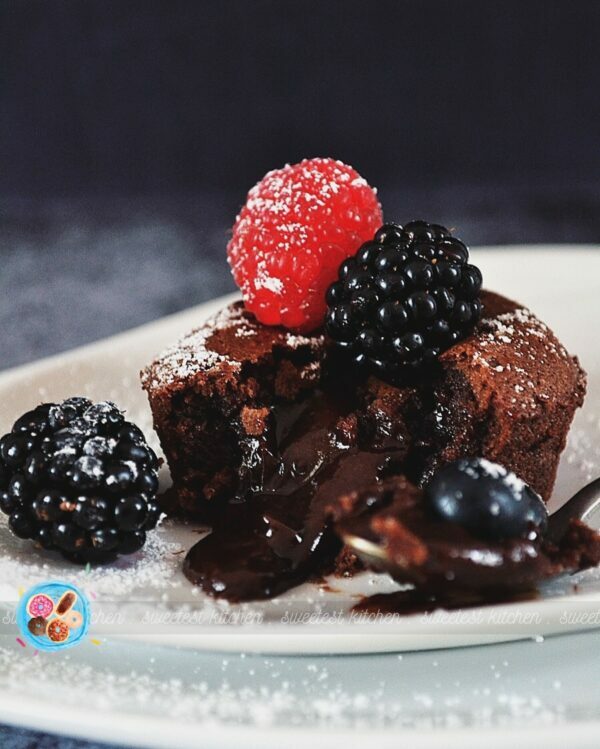 You came here looking for the recipe for this gorgeous chocolate lava cake. The title of this post promises it will be easy to make and maybe you’re wondering if it’s something you can whip up for last-minute desserts or late-night cravings. It looks really, really impressive, but don’t let the photo fool you. You don’t need any fancy ingredients or any special molds. You really can make these cakes for last-minute desserts and late-night cravings. For toppings, it’s your choice. Ice cream and chocolate syrup would be super indulgent, but at the time I made these, I didn’t have any ice cream… but I had lots of fresh berries! They were a wonderful addition! What toppings will you add to your chocolate lava cakes? Melt chocolate and butter in a medium-sized heatproof bowl over a saucepan of simmering water, ensuring no water gets into the chocolate. Stir occasionally until melted and smooth. Whisk the flour, icing sugar, and salt together in a small bowl. Whisk the eggs and egg yolks together until combined in another small bowl. Pour the flour mixture and eggs into the bowl of chocolate. Slowly stir everything together using a rubber spatula or wooden spoon. If there are any lumps, gently use your whisk to rid them. The batter will be slightly thick. Divide batter evenly into the 6 holes of the prepared muffin pan. Bake for 8-10 minutes; the sides of the cakes will appear solid and firm-- the tops will still look soft and wobbly. Allow to cool for 1 minute, then cover the 6 cakes in the pan with an inverted plate and turn the whole thing over (using your oven mitts!) to remove the cakes from the pan. You can also use a spoon to release the cakes from the pan, but I found the inverting method quicker and easier. Add your choice of toppings - ice cream, chocolate syrup, sprinkles, berries! - and serve immediately. Love this! 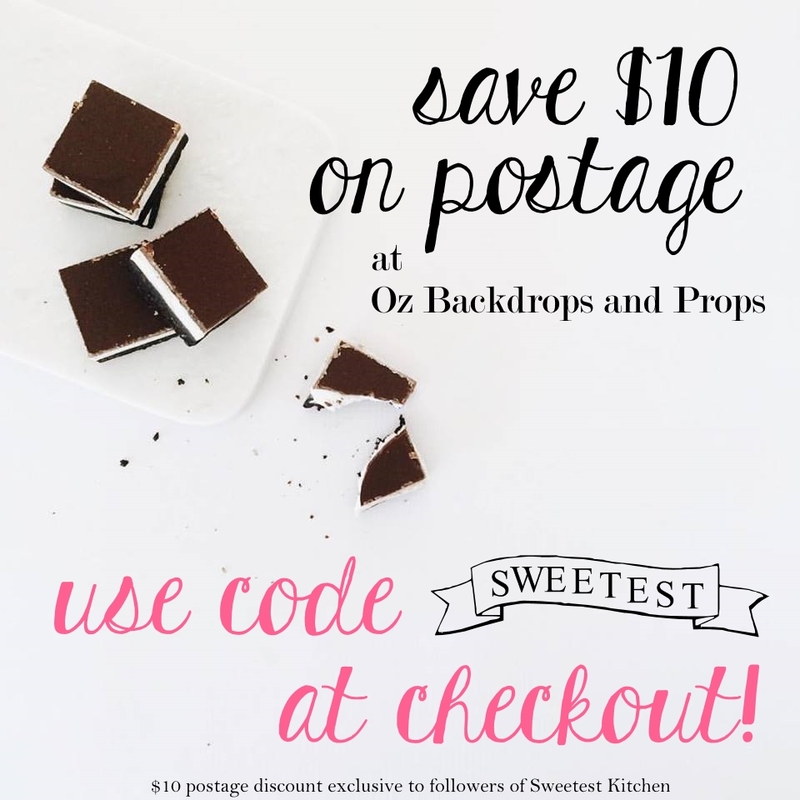 You read my mind – I clicked on this post because I LOVE CHOCOLATES. And yes, I love the gooey cakes most! (Much like my self-saucing Chocolate Cake) Sharing this on Pinterest!